At the Republican convention in Tampa, Paul Ryan takes centre-stage tonight when he accepts the party's vice presidential nomination. Mitt Romney's choice of the conservative congressman has energised activists eager to beat President Obama in November. 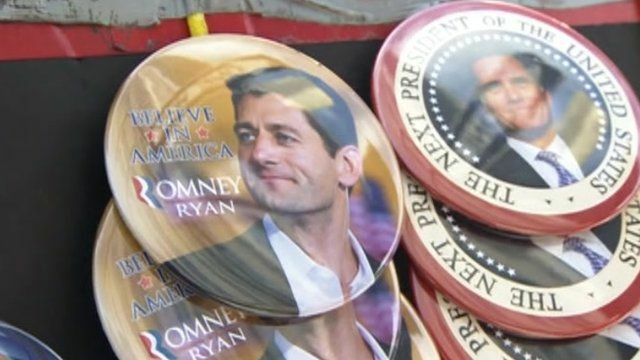 The BBC's Katty Kay met up with delegates from Mr Ryan's home state of Wisconsin to hear why he is seen as the future of the party.